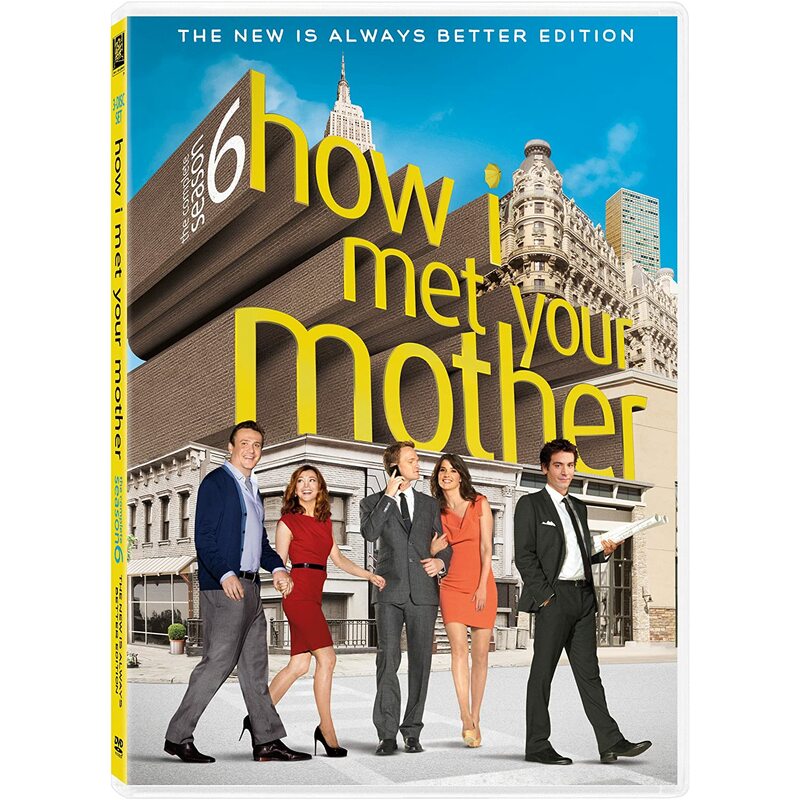 Quick Take: How I Met Your Mother, "A Change of Heart"
Review: How I Met Your Mother, "A Change of Heart"
(S0618) It’s been a busy few weeks on How I Met Your Mother, as the writers continue to determinedly move stories forward and provide actual character development. Since I last did a write-up, we’ve seen Marshall slowly cope with his father’s death and make the decision to leave GNB; Ted realized he was in love with Zoey, and she left her husband the Captain for him; and Barney met Nora and started to maybe like her. Monday night’s episode dealt mostly with the latter, as Barney struggles with the idea that he may actually have feelings and want to be in a relationship with someone. This is an arc that would be really interesting for Barney, except that we already spent most of Season Four dealing with his similar feelings for Robin, who is someone we actually care about. I’m okay with revisiting this side of Barney, especially since his relationship with Robin was disposed of so carelessly. But to rush through the development in a couple of episodes, with a character in Nora whom we hardly know, feels a little forced. In fairness, Nora (Nazanin Boniadi) seems fairly likable, and we’ve probably already seen more of her interactions with Barney than we ever saw of Don, Robin’s ridiculous love interest from last season. She might be a great fit for Barney, and she’s got a lovely British accent to complement her unique good looks. Still, we don’t know her too well, so it’s tougher to be fully invested in Barney’s internal conflict. Making things worse, tonight the show illustrated Barney’s feelings rather literally by tracing his heart activity over a 24-hour period. As an English teacher and writer, I’m a big proponent of the” show-don’t-tell” mantra, and Neil Patrick Harris is perfectly capable of portraying these emotions without a green line heart monitor graphic. Perhaps next week we’ll get onscreen emoticons to help us know when Ted is happy, sad, or sticking his tongue out. The heart check-up did provide a nice framing device for Barney to reflect on his feelings with Lily, who has always been a nice confidant for him. She was a little erratic with her judgments tonight, at first refusing to consider that his feelings might be legit, then abruptly insisting that they were, but I always enjoy their platonic chemistry. The other story of the night involved Robin, who has been single for a while and considers getting a dog, but instead finds herself a man who acts like a dog. “Scooby,” as he was called, provided some amusing gags and puns, though it’s frustrating that Robin is always saddled with these silly side stories. Still, I’m a fan of anything that allows the gang to enjoy “sandwiches” (Future Ted’s euphemism for pot), and I particularly laughed as they all denied blame for accidently letting Scooby out. In the end, we don’t really find out what happens to Scooby, though he may have been run over by a car. Barney accepts that he might want to settle down, but doesn’t have the guts to confess this to Nora (though we are given a fakeout fantasy scene where he does). This results in a pretty melancholy ending. I don’t know if this will be the last we see of Nora or not, but it would be nice if the realization would at least stick. Maybe it could lead him to rekindling things with Robin, which I’m still fully supportive of. The biggest laugh of the night for me came in the tag, which flashes back to Marshall eating a calzone after dropping it on the pavement, an embarrassing moment that Barney witnessed and used to blackmail Marshall into saying nice things about him to Nora. Other embarrassing tidbits Barney is hoarding include stories about Lily’s kindergarten class’s pet guinea pig, Robin’s Mr. T dream, and for Ted, “the thermos.” I hope some of these are revisited in more detail. No Zoey this week. No complaints here. We know now for certain that their relationship doesn’t last, and I’ve had trouble warming up to her character anyway. Hopefully the breakup is at least worthwhile. How did you feel about last night’s installment? Comment away!